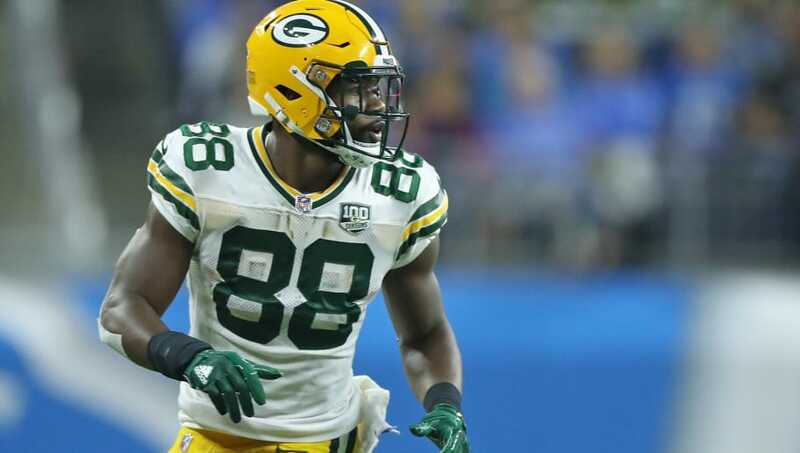 There's no one in Green Bay that's more hated than Ty Montgomery at the moment. The Green Bay Packers had a chance to have an iconic win on their season while handing the Los Angeles Rams their first loss on the year. With just over two minutes left, the Packers found themselves down two with the ball heading to Aaron Rodgers. Before the MVP could get the ball, Montgomery took the ball out of the end zone on the kickoff and fumbled, essentially giving the Rams the win. As if his late game blunder wasn't bad enough, it turns out Montgomery was going against the coaches' wishes by taking the ball out of the end zone. Montgomery was instructed to take a knee, but instead ran it out after catching the ball two yards behind the goal line. If this is true, Montgomery should keep his car running when he shows up to practice on Monday. That kind of selfishness cost a good team a great win. Not to mention, Rodgers yelled "take a f---ing knee!" from the sidelines at him. Montgomery was allegedly mad that he was taken out of the game earlier, throwing a temper tantrum on his own sideline. As if his two rushes for six yards and one catch for two yards was enough to stay in the game over a player like Aaron Jones. Following his outburst, he decided to ignore his coaches to give himself a shot, and the rest as they say was history. A teammate completely hung Montgomery out to dry while telling the media about his disobedience, which just goes to show how well-liked he currently is inside his own locker room. You can't blame Rodgers or any other player for being mad at Montgomery. Think about how many times he's marched down the field and given the Packers a win. He's already done it twice this year, giving the Packers the lead against the 49ers and completing an all-time comeback against the Bears to open the season. When the Packers find themselves desperately needing a win late in the season, they can look back and blame this all on Montgomery.